We know X and Y Axis can show two data points. The forth one is Color to distinguish between data points. 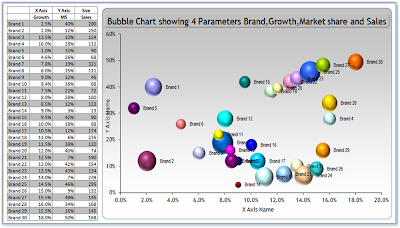 One can easily create Bubble charts using excel. However, when you are plotting multiple series of data points (Here in the example quoted above, it is the Region)you need to pain strikingly input each data point on the chart. To make things easier, create a template and use the template everytime. I have created one such template for you. 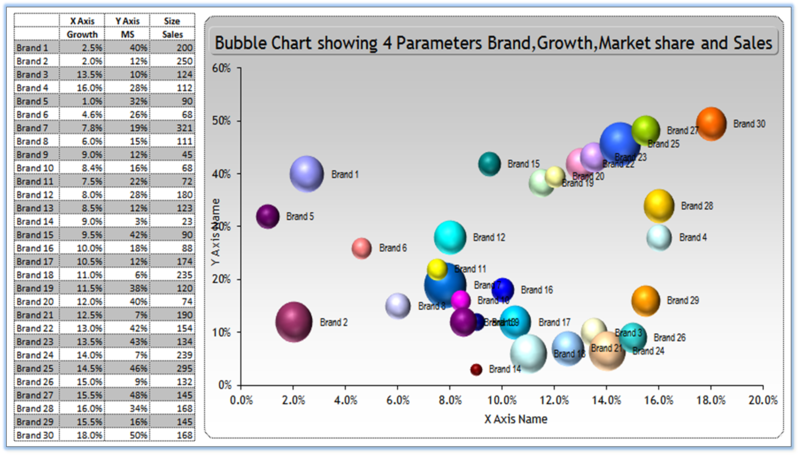 Next time when are are to create a bubble chart, just use the template! Learning,Contributing and Developing is the three fact to grow up in any organisation. We can help other people by helping ourselves. I hope my article will encourage you to be the next businessman.